By Kathy Kuhl Want to read faster? Want to help your dyslexic child’s eyes find the next line more easily? BeeLine Reader can help. 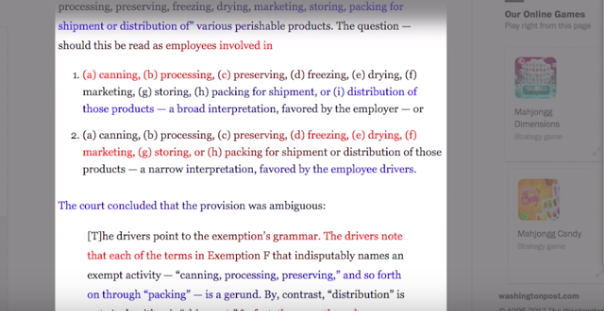 It’s an unusual browser extension for Chrome and Firefox, (and also an iOS app) that can make reading on screen easier. I’m so impressed with this tool that I am sharing it with you, without any compensation. The only benefit to me is knowing I’m helping you. You’ve probably noticed how color draws the eye. BeeLine Reader takes advantage of that by carefully tinting the text of whatever you’re reading online. (It doesn’t alter the original document. So your student can use it on their own writing, too.) The last words of each line are tinted in one color, and the first words of the next line match it. This assists with visual tracking. It is especially helpful for those who have line-skipping problems. You can choose from several sets of colors (even shades of gray, for a more subtle look). Or you can choose your own custom colors. All these are available on a white or black background. 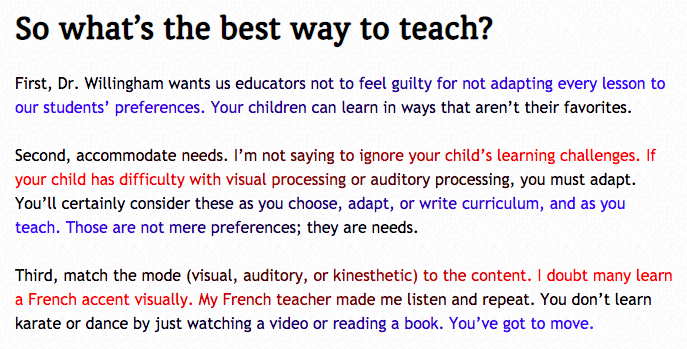 Will it make reading easier for you? Or your student? It does look a little odd a first. Your reader may need time to get used to it. Try it out here. There are four samples. One is for younger readers, ages 7-13. The browser plugin includes a two-week free trial, during which time you can use it an unlimited amount. After the trial ends, you can still use it up to five times per day. The iOS app also includes significant free functionality (mainly via the “reading list” feature), but charges for the Kindle feature and news browsing feature. Lawyers plow through hundreds of pages of reading daily. One of them wondered if color tinting could help him move his eyes down to the next line of text faster. So former corporate lawyer Nick Lum took some time to create a mock-up of what he wanted the software to do, and got his cousin, a Silcon Valley software developer, to create a rough version. BeeLine Reader was born. 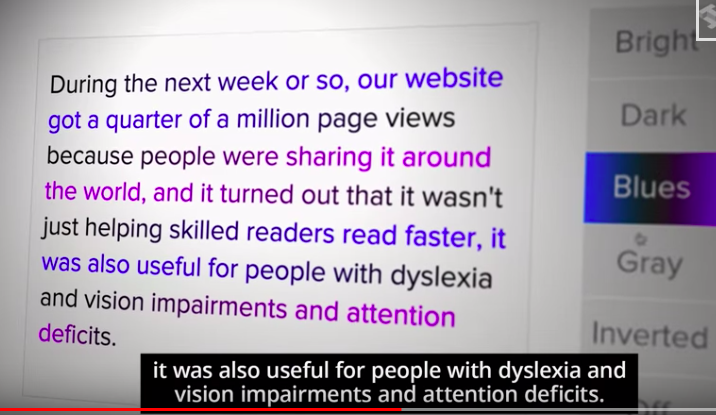 The idea caught on fast, helping not only skilled readers read faster, but also people with dyslexia, vision impairments, and attention deficits. In addition to the tools that the company makes, BeeLine Reader is also available on websites including BookShare (the audio book service), Reading Is Fundamental, and Springwise. Other sites are considering it. 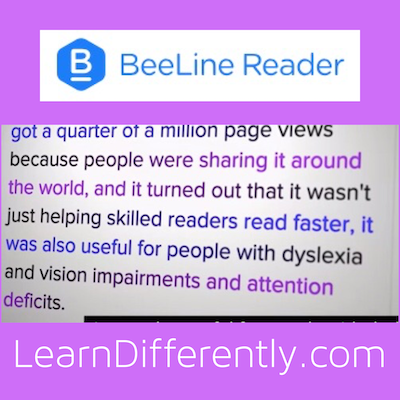 BeeLine Reader’s website makes it easy to tell Microsoft Word, Amazon Kindle, Google Drive, Nook, Adobe and others that you want them to make Beeline Reader available on their platforms. To get the iOS app, search for BeeLine Reader in the App Store or click here. The BeeLine Reader browser plugin is priced as a subscription, starting at $2/month. Annual subscribers get a month for free, which comes out to $22/year. BeeLine Reader also offers a “buy one, give one” option that benefits students in low-income schools and covers five of your browsers. This option costs $4.50/month or $40/year. To get a subscriptions, install the free apps, then you’ll be able to purchase from the BeeLine settings panel. Just click the B icon in the browser toolbar to access the settings panel, where you can change colors, adjust other settings, and purchase (via the “Go Pro Now” button). The BeeLine Reader iOS app is free to download and has in-app purchases. Unlike the browser plugin, these are not subscriptions, but one-time purchases. The Kindle feature is $20, and the news browsing function is $1-$5. Lastly, BeeLine Reader makes a PDF viewer, which is available as a Chrome extension. This is $5/month. BeeLine Reader has just announced a “referral bonus” program, through which you can receive free access to the BeeLine Reader browser plugin by referring friends. More details on this new program are available at www.beelinereader.com/refer. For any questions about this, or anything else, you can email contact@beelinereader.com. Got a software tool that helps your child read more easily? Post in the comments below, please.